Easter is the time of year when Christians celebrate the resurrection of Jesus Christ. Since it falls on the first Sunday after the first full moon following the northern spring equinox, we often associate it with spring as well. I like to think of it as a time that symbolizes the cycle of life, a time when we are reborn in our faith, and a time when nature experiences a rebirth of its own. Flowers begin to bloom, trees begin to blossom, and little critters emerge from hibernation. 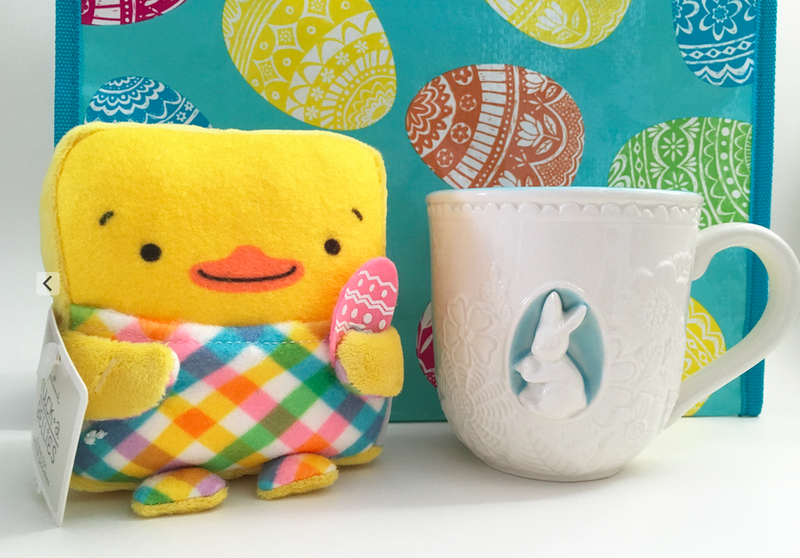 Bunnies and ducks are common among Easter decorations, and Hallmark's newest ceramic collection makes no exception. Seen above are a salt and pepper shaker set, an eggs and bunny candy bowl and a bunny treat jar, all ranging between $9.95 and $16.95 in price. And then there are the newest itty bittys - Disney's Easter themed Winnie the Pooh collection. 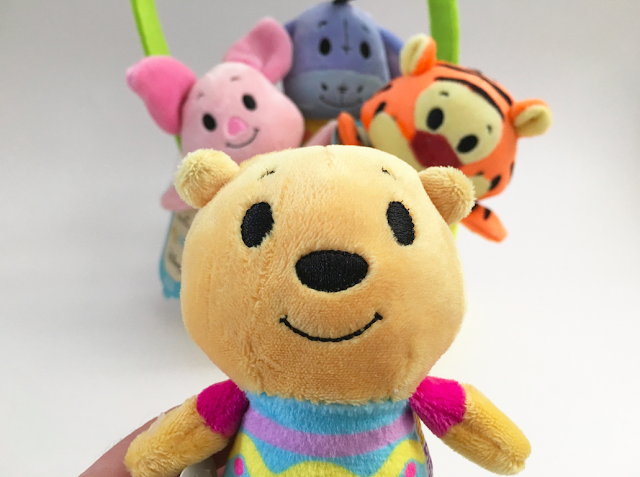 We've got Tigger, Piglet, Eeyore and Pooh himself, each donning Easter egg-like apparel. These adorable plush characters will make a great addition for itty bittys collectors as well as the little ones. And kids at heart, like me! If you plan on giving out gift cards, check out Hallmark's Tuck-a-Bellies plush characters that have a pocket on the front which is perfect for holding gift cards or a monetary gift. And don't forget to pick up a brightly coloured Easter themed gift bag while you're there. This week, I will be giving away an embossed 15 oz. ceramic mug similar to the one seen above as well as a selection of Hallmark greeting cards. For a chance to win, complete the Rafflecopter below. Hallmark Embossed Ceramic Mug and Greeting Cards. What is your favourite gift idea from Hallmark? I like the Bunny candy bowl and Bunny treat jar. 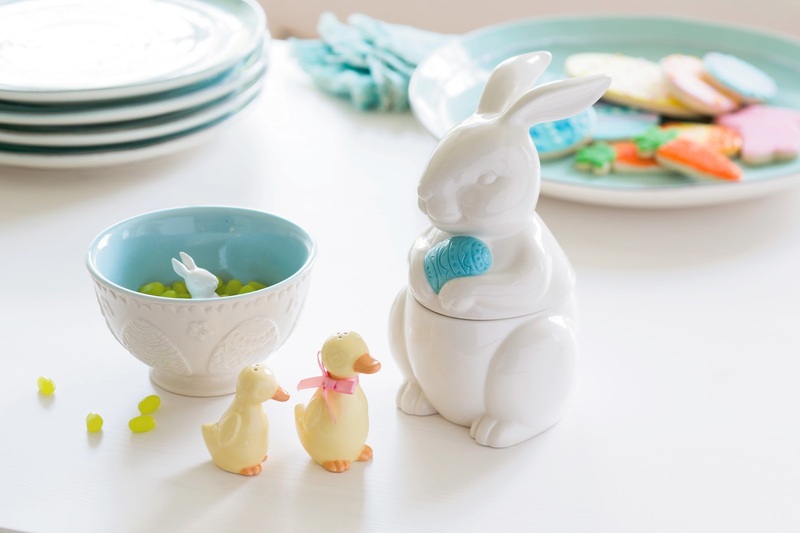 I really like the bunny treat jar and the bunny salt & pepper shakers. I loooove the itty bitty's. The Duck Salt and Pepper Shakers are so cute! Love the Tuck A Bellies to put cards in! My favorite gift at Hallmark are their Christmas ornaments. It's a tradition to get one each year. I really like the Hallmark Itty Bittys, especially the Winnie the Pooh series. I really like the duck sale and pepper shakers. They remind me of spring. Really loving the ceramic decorations! I love the itty bittys! The Duck S&P shakers are irresistible.....wonder if I can still get a hold of them! my favourite items at Hallmark are the Itty Bittys - they are adorable for all ages! I love their mugs. They are always on trend. I think the little duck salt and pepper shakers. I really like the Bunny candy bowl! I like the bunny treat jar. I love the little ducks salt and pepper shakes. I love the little ceramic bunny bowl! Perfect for the Easter table! Of the things you posted my favourite is the Bunny Treat Jar. On their site I like the little Cozy Blankets for babies. I think the Itty Bitties are adorable! I'm loving the bunny candy bowl. My favourites are the Hallmark Itty Bittys. So adorable! love the mug - thanks for the chance to win one.